Support Sylverthorne on Ko-fi.com! - Ko-fi ❤️ Where creators get paid by fans, with a 'Buy Me a Coffee' button. Hello! I'm one of the site moderators and designers on Rondak's Portal; a site dedicated to play-by-post RPG gaming on the net. Game Master or Player, all are welcome! Hello! Welcome, pull up a chair, grab some dice... well, okay, so that works better in the real world. But we do love us some gaming over at Rondak's Portal, and we hope you do too! Join us! Create some characters, join some games, or start some. 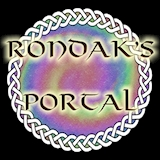 And if you like Rondak's Portal, and you can afford it, please help us keep the servers humming by buying us a cup of coffee! Secured Payments. Support goes to Sylverthorne's account.